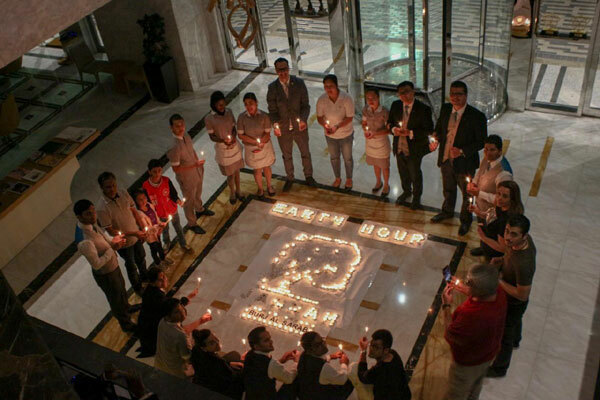 Jannah Hotels & Resorts in the UAE will be taking part in this year's Earth Hour, a global initiative to conserve energy and raise climate change awareness. Earth Hour, spearheaded by the World Wildlife Fund, encourages participants to turn off all non-essential lights for one hour in a symbolic action to raise awareness about environmental issues around the world. This year, Earth Hour will be observed on March 30th from 8:30 pm to 9:30 pm across the UAE. All Jannah Hotels & Resorts properties together with resident guests will engage in this year’s Earth Hour theme #Connect2Earth by creating a symbolic 60 minute of earth hour and beyond. Jannah Hotels & Resorts will use candlelight in the hotel lobbies across all properties. Hotel guests will be encouraged to contribute to this initiative by switching off all lights as well as any power devices for one hour, from 8:30 pm to 9:30 pm, to honour the occasion.